Our Linden orchards are nestled in the countryside of California's Central Valley. 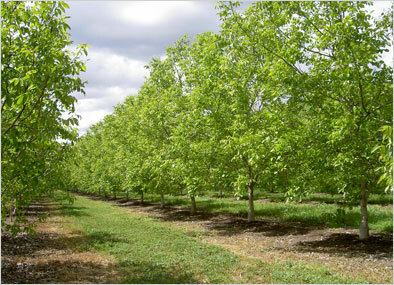 The Linden area is one of the most fertile regions in the world and is recognized throughout the industry as the area producing the world's most premium walnuts. This is due to the type of soils, along with the micro climate created by cooling breezes at night filtering in from San Francisco. We take pride in this reputation and carefully cultivate each year's crop dedicated to providing the best quality. Not only are our walnuts healthy for you–our trees are too: our orchards cleanse the planet's air of over 10,000 tons of carbon dioxide each year.